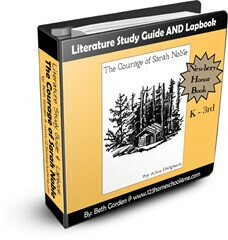 Help kids dive into some great literature as they go through this Courage of Sarah Noble Study Guide and Lapbook. 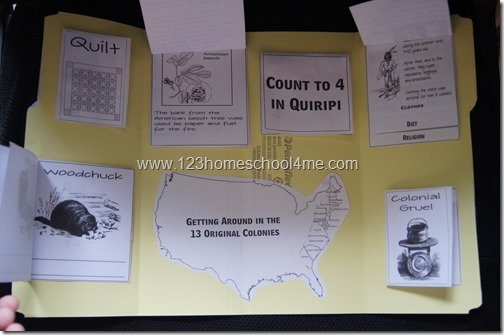 This book is a wonderful historical fiction that helps kids in Kindergarten, first grade, 2nd grade, and 3rd grade kids understand more about colonial america for kids. The Courage of Sarah Noble is a wonderful historical fiction that helps Kindergarten – 3rd Graders get a glimpse of what life was like in Colonial America. The story can be read aloud or 2nd & 3rd graders can read it themselves. There are some brown, black, and white illustrations throughout to help young readers picture the story.